So as I mentioned, I did wanted to see the sunset! We had a free afternoon, car and 2 cameras to use and a lot of memory space on the SD cards.. so our opportunities & possibilities were unlimited. 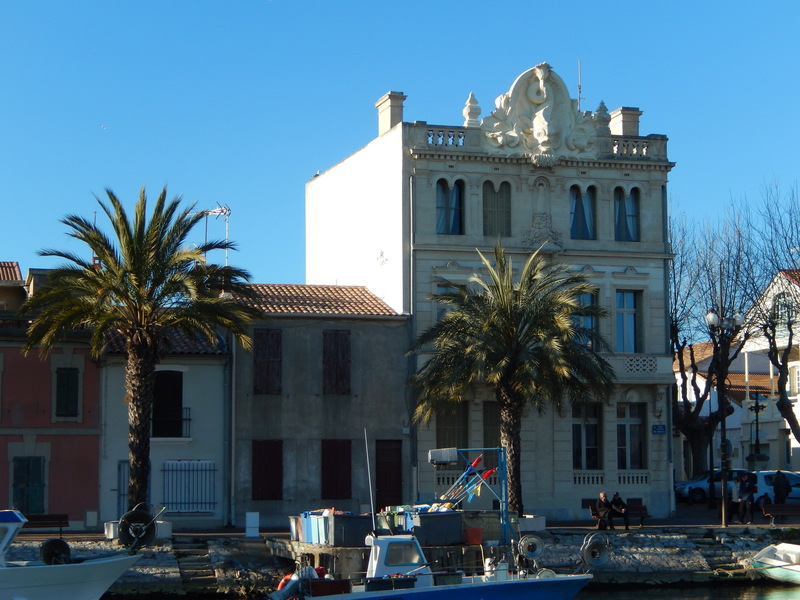 We arrived to Palavas-les-Flots without any problems. It is located less then half an hour away from Aigues – Mortes, six km south of Montpellier, at the Gulf of Lion and the Mediterranean Sea. It lies on a strip of sand dunes that separates two lakes, the Étang de l’Arnel and the Étang du Méjean, from the sea and I had a chance to admire it when driving. The main centre of Palavas-les-Flots lies along the edges of the River Lez. This splits the town into Rive Gauche and Rive Droit and along the edges of the canal are a selection of bars and restaurants. In the centre of the town there is the distinctive ‘lighthouse of the Mediterranean‘, the church of Saint Pierre and its attractive garden. The town then spreads out along the seafront and the sprawl of apartment blocks provides the back-drop to the beach for a distance either side of the centre. 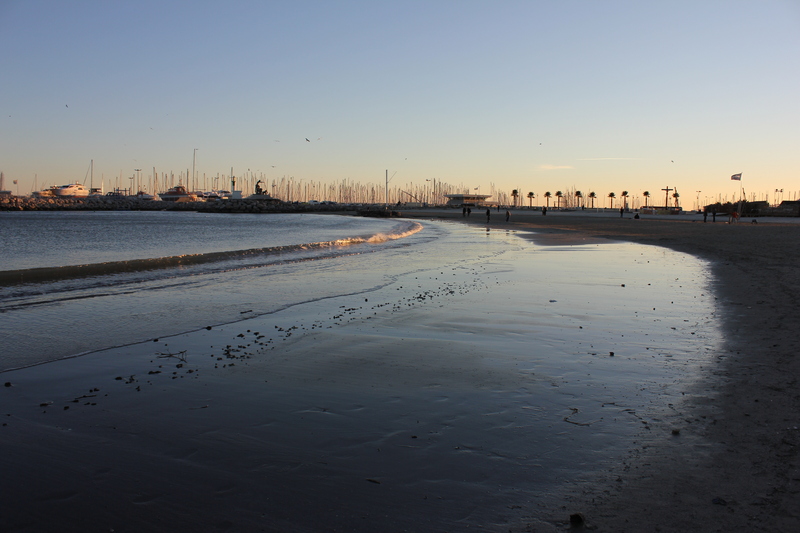 It has wide sandy beach which I liked and a pier from which I could see and wave to the located across the bay of La Grande Motte. I was happpy to see it and not be forced to visit it! Another thing, the beach was pretty impressive! Did you know that Palavas-les-Flots has seven kilometres of beach and with this all there are all the water-related sports activities you could wish for. Well I didn’t realize it is so big, I have just focused on watching my sunset! But anyway, it’s really a great spot for everyone who wants to spend their time actively with the sport, and obviously ideal for others who prepare to walk, enjoy time in the restaurants and bars and ones who love to spend time by the sea – resting & reading & getting sunbath. Cableway – the ride & view! 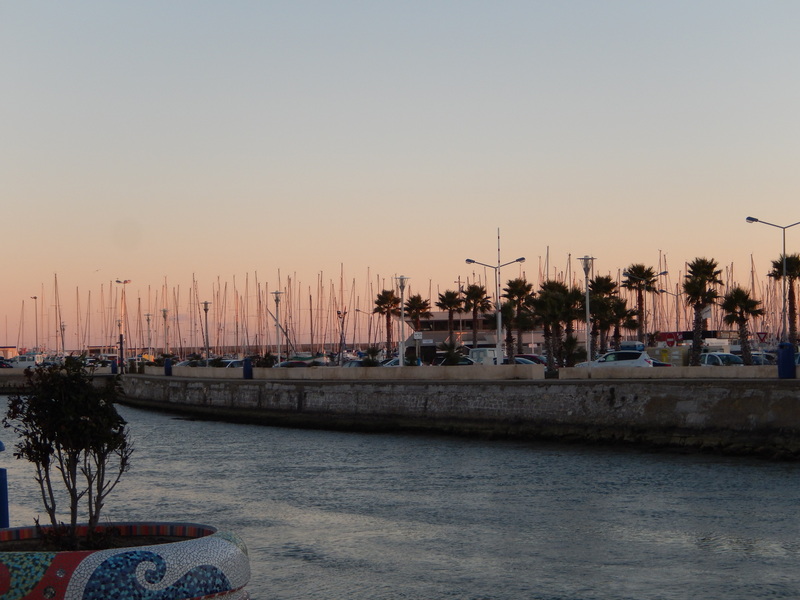 So I liked Palavas les Flots experience as I got the best out of it! The sunny and warm weather (less wind), and the amazing sunset! 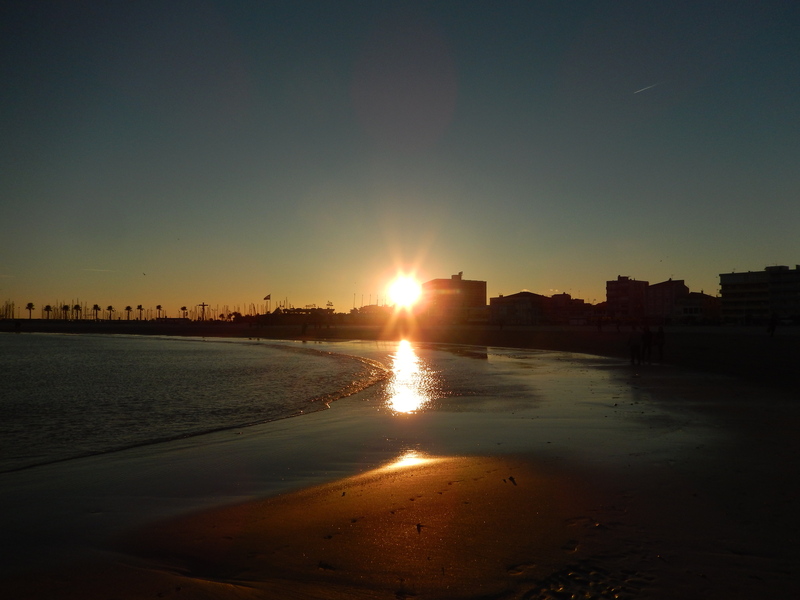 It was definitely worth going and if I have a chance I will come back…If you want to learn more on what you can do there and read Palavas les Flots Guide & get PLAN de PALAVAS les Flots and Palaves les Flots – activities for kids (very cool! )– its here for you to get & download & print and use! Their tourism office did a good job of creating the guides. Enjoy!